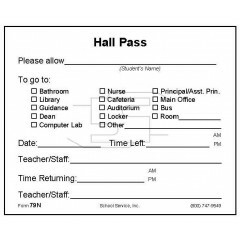 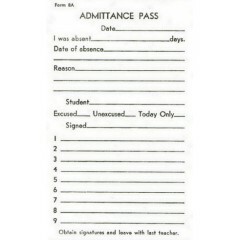 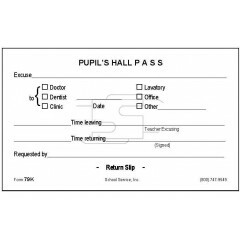 Padded pupil's hall pass. 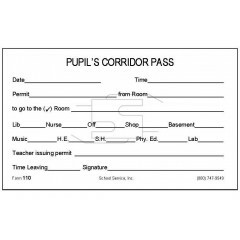 Size: 3 x 5 size Type: Bond paper padded (note pad paper) Stock&n..
Padded small student's pass. 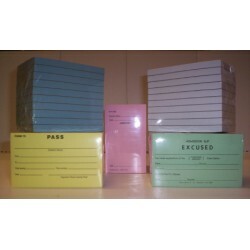 Size: 2-1/2 x 3 size Type: Bond paper padded (note pad ..
Padded report of misconduct. 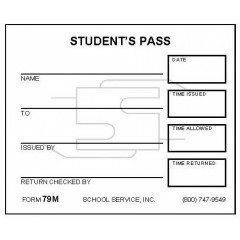 Size: 3-1/2 x 4-1/4 size Type: Bond paper padded (note pad p..
Padded student pass or transfer. 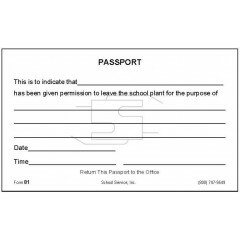 Size: 3 x 5 size Type: Bond paper padded (note pad paper) ..
Padded passport. 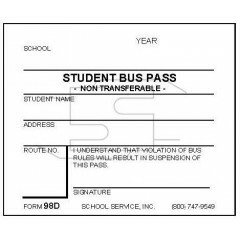 Size: 3 x 5 size Type: Bond paper padded (note pad paper) Stock Paper..
Student bus pass. 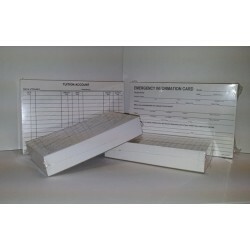 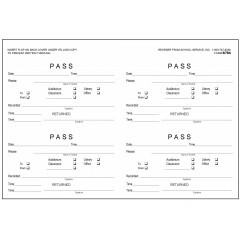 Size: 2-1/2 x 3 size Type: Card stock paper Stock Paper Color:..
NEW FORM! 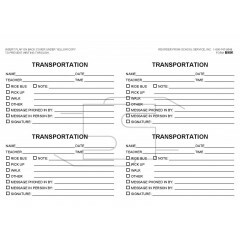 Track student transportation changes! 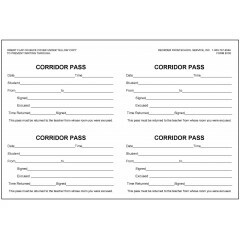 Carbonless Book Form ..
Padded corridor pass. 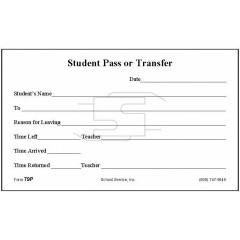 Size: 3 x 5 size Type: Bond paper padded (note pad paper) Stock ..